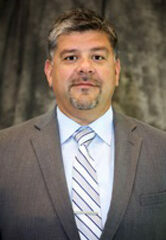 David Ybarra, Minnesota Ballpark Authority: President of Minnesota Pipe Trades Association (MPTA). David represents more than 9000 men and women working in piping related industries throughout the State of Minnesota. Prior to MPTA, David served as Business Manager for Sprinkler Fitters Local 417. In addition, he serves as a Director on District Energy of St. Paul’s Board, a Director on Hennepin Health System’s Board, as well as a Director on Union Bank & Trust’s Board. David has also served as Vice President for the Brooklyn Park Fastpitch Association, and is the current President of the Edinburgh Men’s Golf Association at Edinburgh U.S. A. in Brooklyn Park. Appointed to the Minnesota Ballpark Authority by Governor Mark Dayton in 2016.